(BPT) – What would you rather do: Pay your utility bill or take a much-deserved vacation? With an endless stream of bills each month, you might wonder where you can find the money to jet off to the beach or mountain resort of your dreams. Read on for the solution. The average U.S. household spends more than $2,200 yearly on energy bills, with about half of that for heating and cooling, according to the U.S. Department of Energy (DOE). As a large portion of that energy is wasted, making your home more energy efficient will pay big dividends. With only a couple weekends of work, these three simple low-cost DIY projects can significantly reduce your home heating and cooling costs, freeing up money year after year so you can take vacations or do other fun activities. Best of all, the three actions work together to not only reduce your utility bills, but to make your home more comfortable year-round. Chances are your home lacks sufficient insulation, despite when it was built. Some 90 percent of U.S. homes are under-insulated, reports the North American Insulation Manufacturers Association (NAIMA). Fortunately, adding insulation is simple, with products readily available at your local home improvement store. 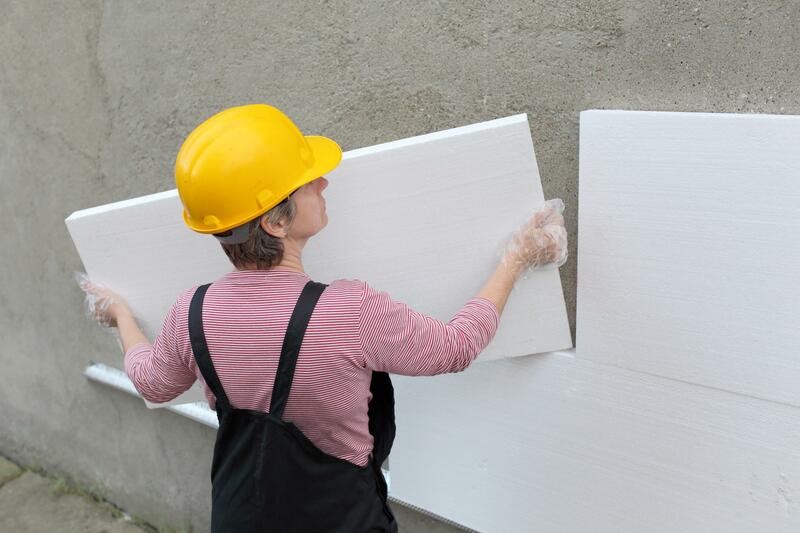 One of the most cost-effective and easiest types of insulation to work with is expanded polystyrene (EPS) rigid foam boards. EPS panels are simple to cut to size without creating a mess, are recyclable and can be installed throughout your home, including in walls, floors, ceilings and foundation walls. A similar material, graphite polystyrene (GPS), also is easy to work with, and provides even higher insulating power, according to manufacturers. One of the EPS and GPS brands available at home improvement stores such as Home Depot and Lowe’s is R-Tech insulation from Insulfoam. “R-Tech EPS and GPS insulations offer some of the highest insulating power per dollar,” says Michael McAuley, Insulfoam general manager. With your newly insulated and sealed home, a third step you can take to cut energy bills is to install a programmable thermostat. Today’s sophisticated thermostats enable you to better manage your furnace when you’ll be away from home at work or to lower the setting when you’re already in your warm bed. Either way, automatically turning down the heat can save you up to $180 every year in energy costs, says the DOE. That’s enough for a one-night hotel stay or a fancy dinner out. These three utility bill-busting tips are within the skill set of many homeowners, but if you want a little extra help, hiring a contractor is also cost effective, as these are not large projects. This entry was posted in Real Estate on May 2, 2017 by Mike.